by Merom Klein PhD and Louise Yochee Klein PsyD. 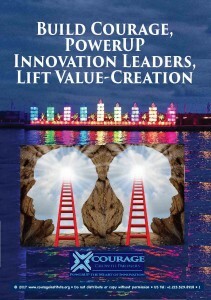 A practical guidebook for cross-functional innovation team leaders and inventive domain experts — how to PowerUP Brilliance when you lead from the middle and mobilize teams in matrix structures and cross-functional innovation initiatives. How to use the PowerUP 5 Formula to overcome fear and complacency when you face adversity, ambiguity or the bias against creativity. How to ennoble teams to reach higher and dream larger when what got you here will not get you to the next pinnacle of success. by Dr Merom Klein and Professor Rod Napier. The Courage to Act, published by Nicholas-Breeley in the UK and USA, describes the 5 Courage Activators — the 5-step roadmap that business leaders apply to lift teams above fear and reluctance, volatility and competitive pressure. 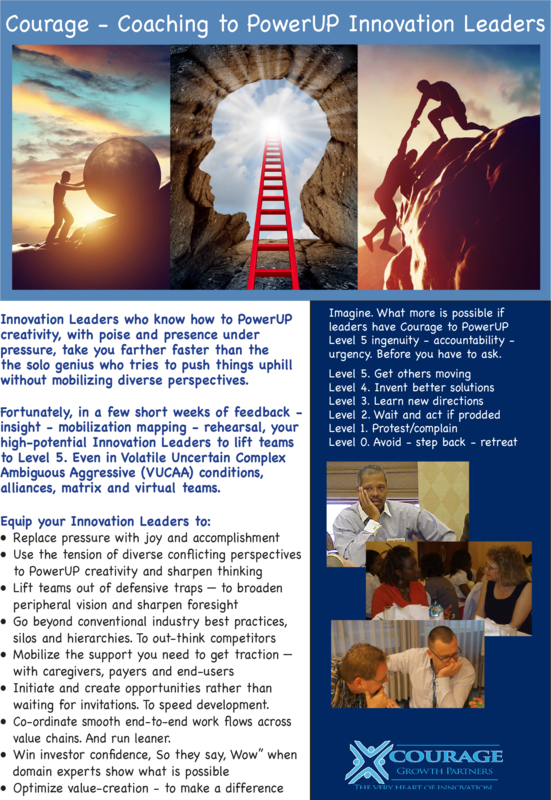 When matrix structures and audacious goals stretch teammates beyond their comfort zones, and when leaders face conflict-prone realities in conflict-adverse systems, the 5 Courage Activators equip leaders to flip the switch on brilliance, initiative, empowerment, accountability and strategy-execution. Our first book On Courage takes you through the 5 activators, one at a time, and shows you how to strengthen each one. Most Fortune 1500 CEOs report a huge gap between high-potential talent and highly-innovative talent. The gap isn’t because of a lack of smarts, principles or creativity. It’s because too many high-potentials lack Courage and become a victim of 12 defensive thinking traps, lowering their imagination, initiative, optimism and “go-to” accountability. A high EnCourage Quotient (EnQ) lifts high-potential leaders from Level 1 complaining or a Level 2 “wait-and-see” by-stander role — to Level 4 inventive thinking and Level 5 culture-shaping. 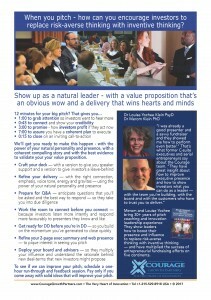 This booklet is a summary of our upcoming book, No Defense: Build Courage to PowerUP Value-Creation. 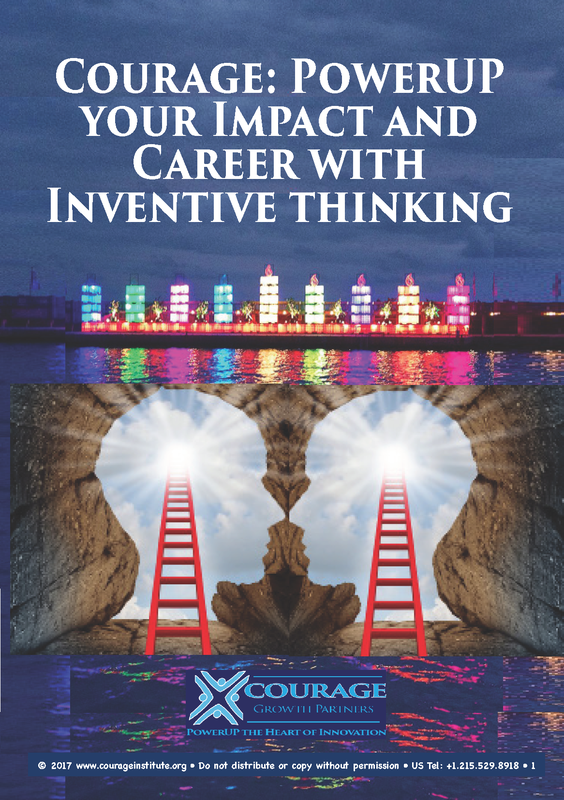 Equip high-potential leaders in your sales or engineering team, your G&A function, top management or post-M&A integration team to overcome risk-averse defensive traps and PowerUP inventive thinking — initiative — wealth-creation — foresight — strategy execution. 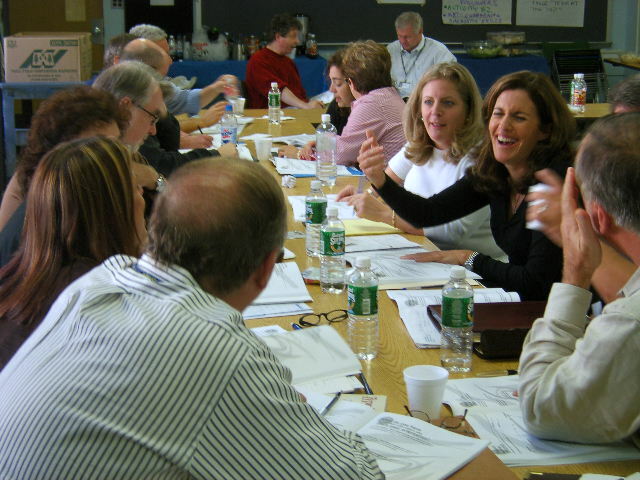 Action learning delivers a once-in-a-career breakthrough development experience – so high-potentials become Innovation Leaders with a broader perspective and an inventive thinking entrepreneurial culture-shaping mindset — with learn-by-doing that shapes an Inventive Thinking culture, one touchpoint at a time, and delivers a rapid >300% ROI. 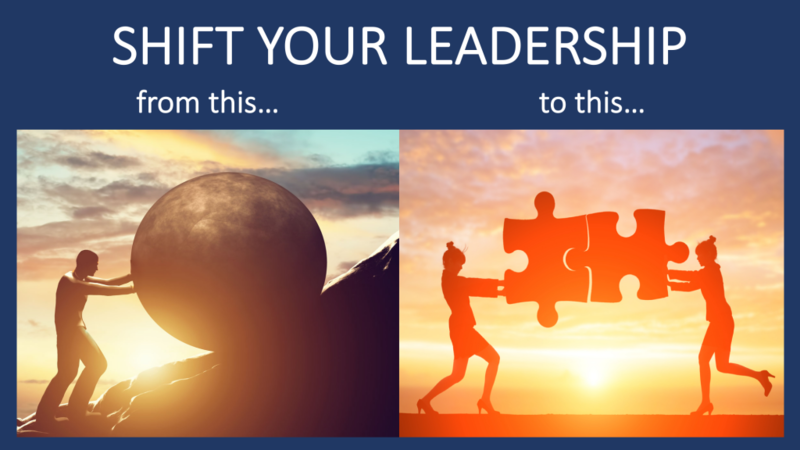 In <3 weeks, you can give a high-potential leader the 360-assessment and feedback that will sharpen self-knowledge — so a Level 3-4 leader with Courage learns to become a Level 5 leader who Builds Courage. In 16 weeks, you can monetize your investment in that leader’s potential — with collaboration tools, accountabilities, and courageous conversations that bridge diverse perspectives, boost creativity and enlist better and more productive collaborations. 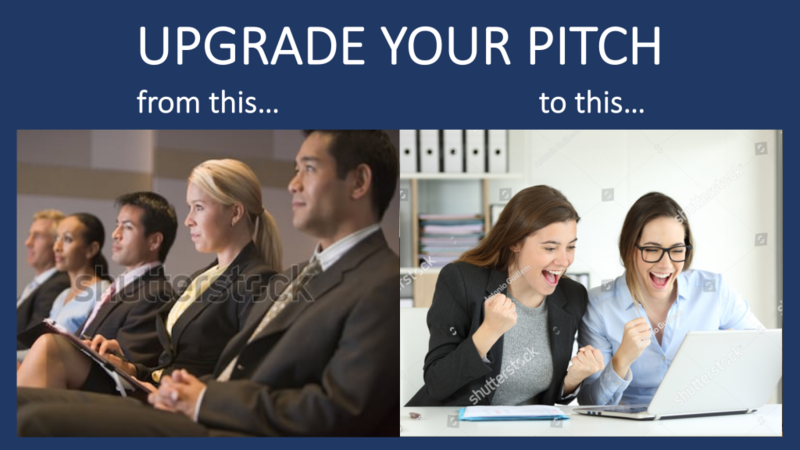 Have a high-stakes presentation on the horizon with an investor, management board or key customer or alliance partner? Here’s how we can make sure you deliver a clear value proposition – with the presence and inventive thinking to win support and make the most of the audience’s wisdom and perspective . 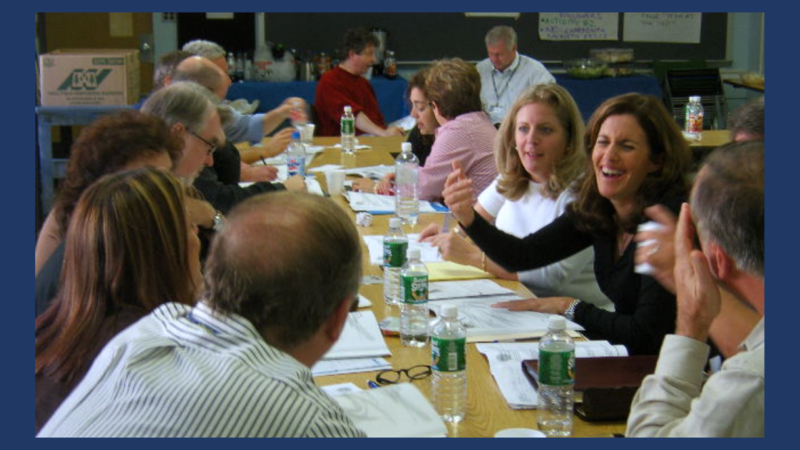 Make it fun to build the entrepreneurial thinking that your high-potential leaders and your organization need — with hands-on experience breaking the grip of risk-averse traps and optimizing value-creation. 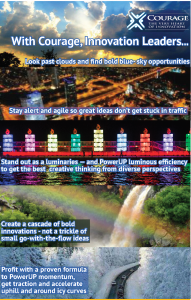 Mobius Leadership article on PowerUP Brilliance for breakthrough solutions. To conserve energy, we need lightbulbs with luminous efficiency — to emit brilliance with little power and little residual heat. We also need teams with luminous efficiency — to illuminate ever tougher and more complex opportunities with less push from the top-down and less noise and heat. Here’s how courage build courage to drive breakthrough solutions with luminous efficiency. 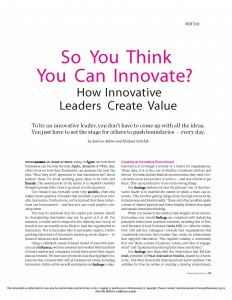 Courage Affiliate Dr Michael Seitchik’s HBR article “So you think you can innovate?”. Do you think the best Innovation Leaders are the ones with the best “gut instincts” about what the market needs now — and what the fastest route to wealth-creation can be? Find out why there’s a smarter better faster route to value-creation — that requires more courage-building and less bro-culture courage-dominating. What we can learn about A-level success, from a Chinese children’s folk-tale about choosing an heir to the throne. What is Brilliance when “just following orders” is not enough to achieve the results that will make you a star? How does adherence help, because we can’t all go rogue – and when do we need to think out of the box and experiment with disruptive breakthrough possibilities? 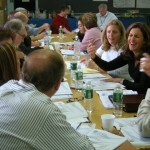 Program description: Profit from training to PowerUP Brilliance! A description of action learning in Leadership Development – because getting the content right is not enough, unless the leaders you train actually USE that content and APPLY it to ACHIEVE the ROIC that you expect. How to build a blended learning platform that makes the most of E/M-learning, assessments, idea blogs and peer coaching trios – with high-impact learn by doing simulation workshops that do more than show and tell – by encoding new skills into your leaders’ repertoire in a fluid automatic way. What do you say to a key performer who is afraid or reluctant to lift his or her game? Who is a high producer, but at the expense of being a high-maintenance or disruptive team player? Who has reached an inflection point – that once was effective, but now is limiting the enterprise’s ability to scale up, adapt to new requirements, take on new thought-leadership and lift its game. How do you sound the call and encourage and ennoble this key performer to learn, adapt and grow? An article about the courage to get involved, wrestle down tough issues and say, “Houston, we have a problem,” before the risks blow up in your organization’s face — or become so obvious that everyone is mobilized. We thank our friend, Robert Shaw, for permission to share this article, which he co-authored with Mark Gerstein, published in People & Strategy, Issue 1.